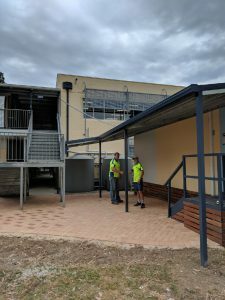 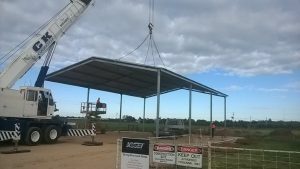 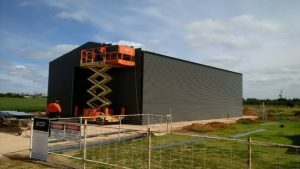 On the 16th of September, the team of installers from Asset Building Systems had the shed roof completely assembled, and called in the crane. 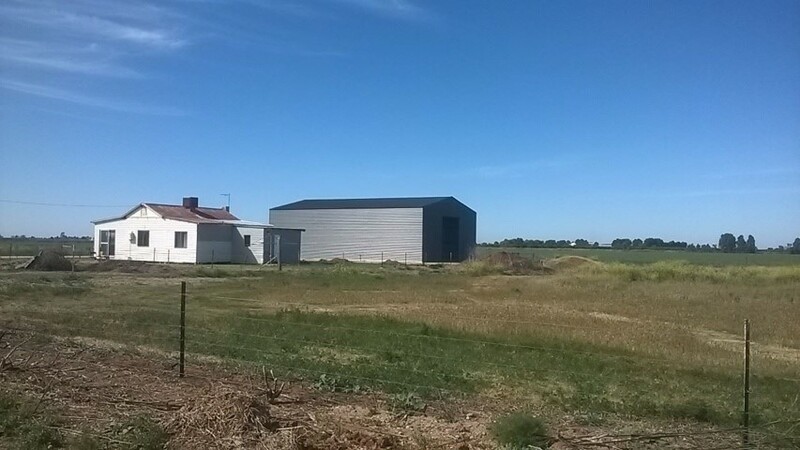 Just a couple of days later, on the 19th, the walls are fully sheeted. 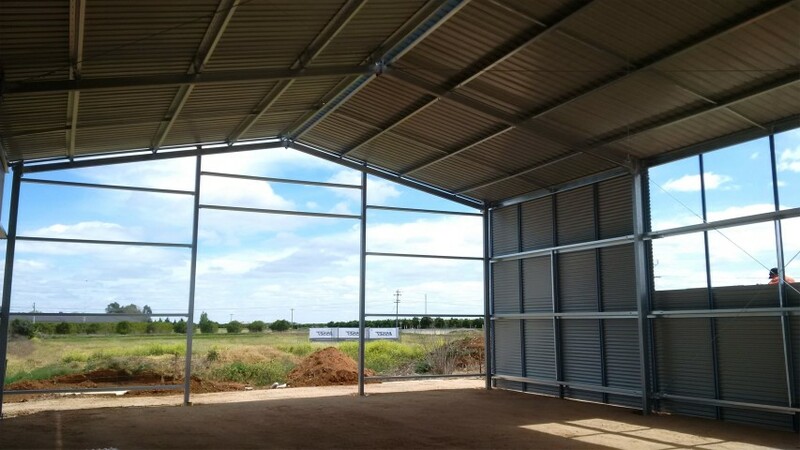 The portal frames on this shed are made out of structural RHS. 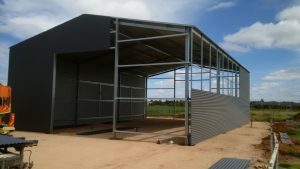 See the video and pictures for a view of an 18 x 12 x 5.1m shed under construction. 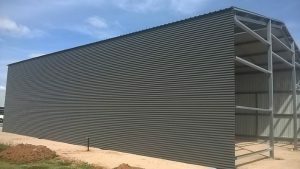 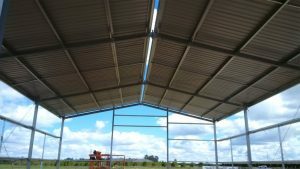 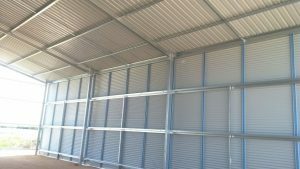 This kind of Shed is very versatile – it can be used as a hay shed, machinery shed, car and motorbike storage and more.